fade in and out of dog dream sighs. catching imaginary butterflies and bumble bees. you are warm with love and canary yellow. but you color my world with almondine and baritone barks. My heart is so full for you, little one. nip at my toes or when you pull at my pajama pants. you are a relic of freedom. welcome to my home and world, my little Jax. Yes, it is true. Yesterday I brought home the newest member of my family. Born on May 13, 2015, Jax is just over two months old. 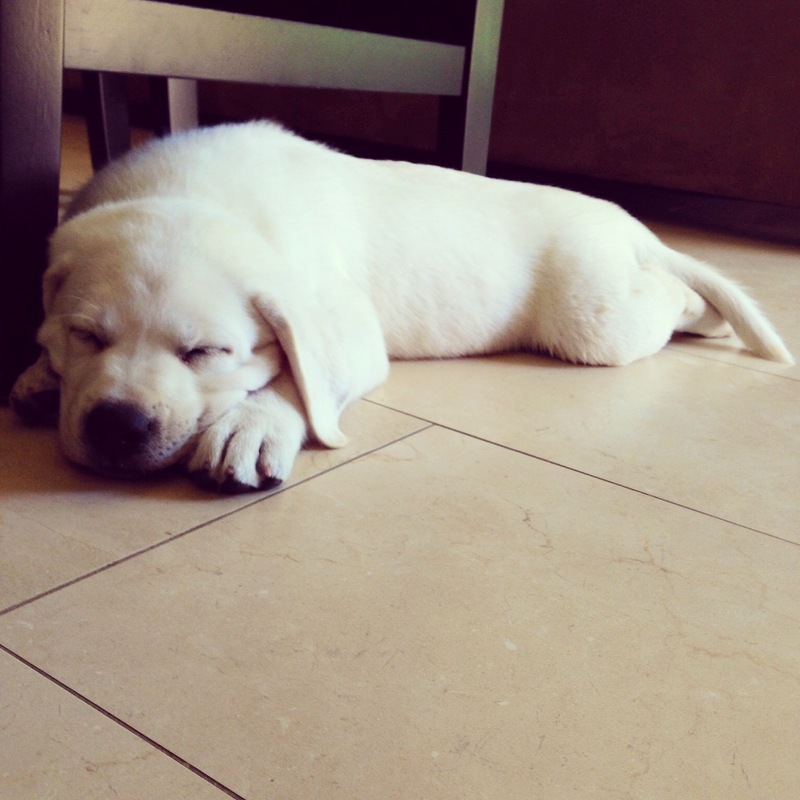 And possibly the cutest labrador puppy ever. I am so overwhelmed with love for him, and cannot wait to see him grow. If any of you have tips on labradors, please let me know! Any and all advice is welcome! And you have my undying thanks in advance! so cute!! If you ever need doggy help- let me know! Thank you so much! So incredibly kind of you to offer! You can’t beat Labrador puppies!